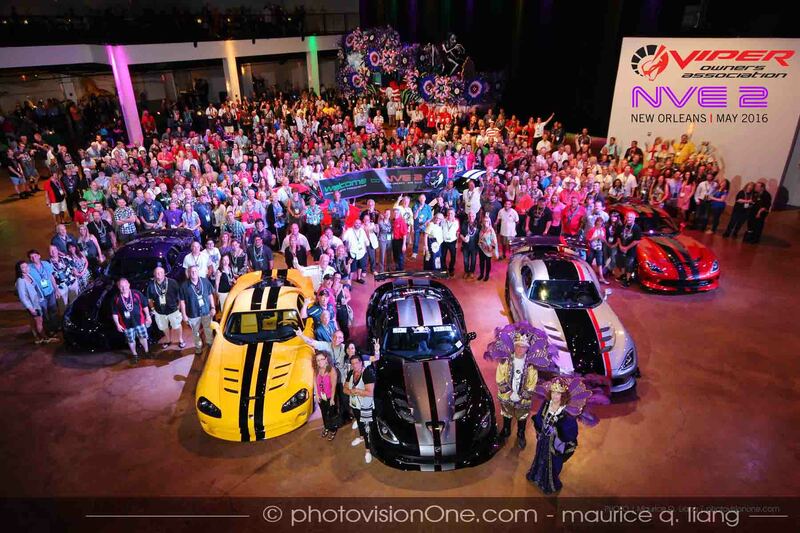 The VOA held it’s second National Viper Event, NVE2, in the grand city of New Orleans! More than 700 members, sponsors and their guests were in attendance to enjoy the fantastic activities lined up by our talented VOA staff. In addition to a private Mardi Gras party, track event, Viper cruise and riverboat cruise, the VOA raffled off a spectacular, one of kind 2016 Dodge Viper VooDoo II Edition with custom GTS-style stripes. For a recap, click here.